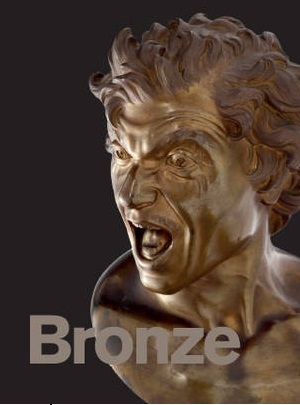 Last Friday Charlotte, Myrtle, Dad and I went to the Royal Academy of Arts in London's glitzy Piccadilly to see the Bronze Exhibition. It was a fascinating insight into how beautiful and how painstakingly difficult the metallic sculpturing and casting can be. There were example from thousands of years ago that looked as artistic and impressive as they did the day they were first chiselled out of their mouldings. There were some little known facts too such as why only certain bronze statues exist today. When a foe was vanquished the bronze statues of their leaders would often be melted down by the victors to be reused in fresh casts of the new conqueror. Similarly certain statues of Gods got consigned to the crucible when Christianity began to spread. Revisionism, it seems, knows now boundaries. The exhibition was divided up into sections; people, groups, heads, animals etc. There was a huge range on display - large and small, simple and complex - but for me the most impressive piece was Frederic Remmington's Coming Through The Rye. An intricate casting of four cowboys on horseback at full gallop - only six of the sixteen hooves are touching the earth with the outer horse completely in flight. A marvel. Well worth a visit if you are in town.